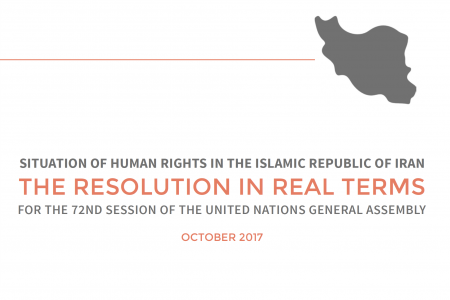 The annual United Nations General Assembly resolution on the Situation of the Human Rights in the Islamic Republic of Iran has been one of the most effective means by which the international community has expressed concern for the rights of people in Iran. The resolution bolsters the work of Iranian human rights defenders. It also outlines for Iranian officials the exact set of human rights issues they should prioritize, encouraging them to take substantive steps to reform laws and practices in line with the country’s obligations. This guide provides factual support to the operative paragraphs of the General Assembly Draft Resolution. Events highlighted in this guide took place from January 2017 through the end of September 2017.